NEW: Police said all of the victims died from "blunt force trauma"
Warrant lists eight counts of first-degree murder for Guy Heinze Jr.
(CNN) -- One of eight people killed in a southeast Georgia mobile home last month recently had been awarded $25,000 in a civil lawsuit, officials said. Guy Heinze Jr. faces eight counts of first-degree murder in last month's killings in a Georgia mobile home. Guy Heinze Sr., 46, was granted the award by the McIntosh County, Georgia, Magistrate Court in a suit over a mobile home that he owned, court officials said. He had not received the money as the ruling was under appeal. Heinze was found dead August 29 in his Brunswick mobile home along with six others. An eighth person died later at a hospital. Police said all of the victims died from "blunt force trauma," but they did not provide any further details. Heinze's son, Guy Heinze Jr., 22, faces eight counts of first-degree murder in the deaths. Police suspect he acted alone, according to a statement from the Glynn County Police Department. The younger Heinze has made his initial court appearance via closed-circuit television from the Glynn County Detention Center, his attorney, Ron Harrison, said Tuesday. His preliminary hearing likely will come next week, Harrison said. The elder Heinze told relatives about the award days before his death, family members said. Court officials said the ruling was issued August 11, and an appeal was filed six days later. Harrison said he was aware of the award in the lawsuit but would not comment on it. Harrison said he last saw his client on Friday, as he was not required to appear with him to hear the charges read. The younger Heinze "continues to deny any involvement in the murders and urges anyone with information to contact authorities," he said Tuesday. He described his client as "not good, disappointed, upset, angry." An arrest warrant said he provided police "with false and misleading information about his whereabouts and involvement in the circumstances leading to him calling 911 to report the deaths of his family members" and that he removed a shotgun from the mobile home and hid it in his car. 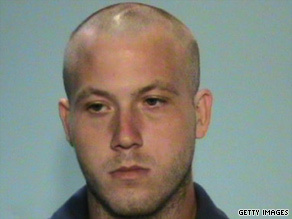 He was arrested on the murder charges hours after being freed from jail on the initial charges. Family members said he was on his way to attend the visitation for the victims but was arrested before arriving. A police chaplain called relatives to tell them of the arrest, family members said. Police have not released the cause of death for any of the victims. Heinze told dispatchers in his 911 call they appeared to have been beaten to death. Funerals were held Saturday for seven of the eight victims. Besides the elder Heinze, they were Brenda Gail Falagan, 49; Russell D. Toler Sr., 44; Russell D. Toler Jr., 20; Chrissy Toler, 22; Michael Toler, 19; and Michelle Toler, 15. The funeral for the eighth victim, Joseph L. West, 30, is to be held mid-month. A ninth victim, a 3-year-old, was on life support at a Savannah, Georgia, hospital as of Saturday, her grandmother said. Guy Heinze Sr.'s father, William Heinze, told CNN affiliate WJXT-TV in Jacksonville, Florida, at the funerals that he doubted his grandson was responsible for the deaths. "We want to know what really happened," he said. "The police may think they know what happened, but we want to really know the truth." Brunswick is about 300 miles southeast of Atlanta on Georgia's Atlantic coast.